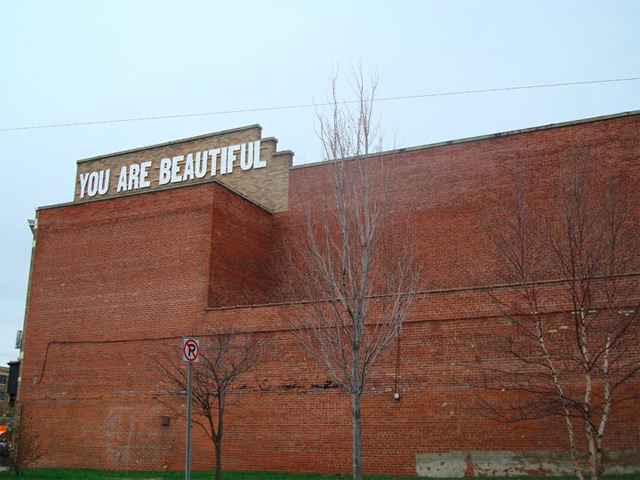 There’s always something extremely uplifting when you see a motivating slogan. 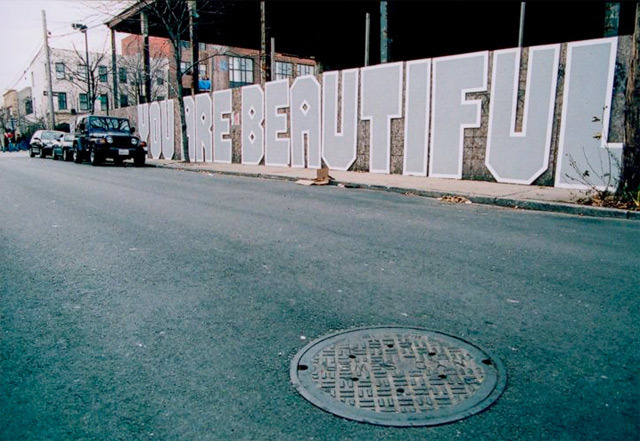 However, when you see it on the street at an unpredictable time, there’s nothing better than that. 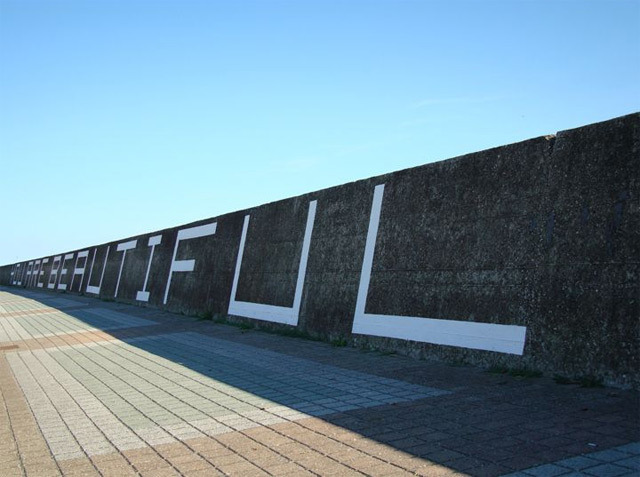 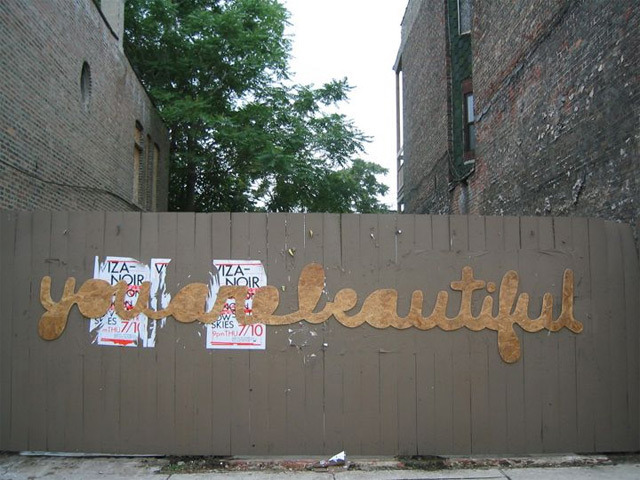 Matt Hoffman does just that with his work, especially his “You Are Beautiful” street installation/murals.